Mobile video ads come in all shapes and sizes. They come in landscape (horizontal), portrait (vertical), and square orientations. And each screen orientation corresponds to 16:9, 9:16, and 1:1 aspect ratios—along with varying degrees of wider and narrower ratios. Confused yet? I am too, and I design mobile video creatives for a living. Adding to the confusion, mobile marketers show video ads related to their apps and games across multiple advertising channels and platforms, each with their own respective video capabilities. So where do you start? How do you manage a mobile video creative strategy for all of these advertising channels? 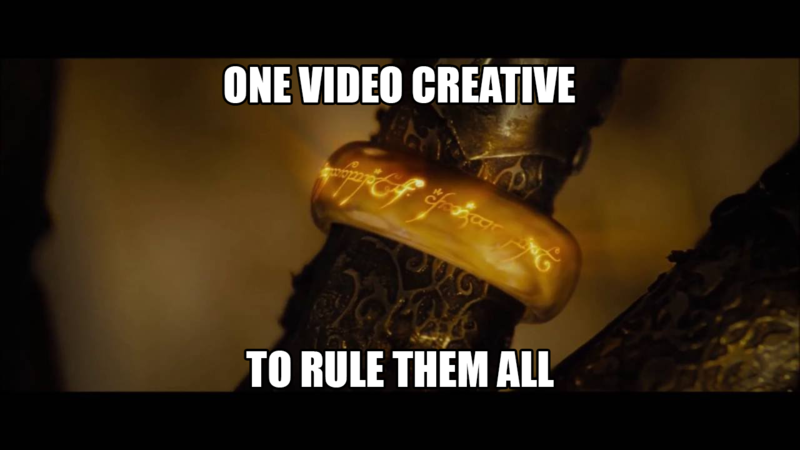 Do you create one video creative to rule them all and run it everywhere? Do you rework the same video ad, or group of ads, in all of the formats (landscape, vertical, square) for every single channel? Or do you make a unique set of video ad creatives in every format for each channel, even with different variables such as an end card or thumbnail? The truth lies somewhere in the middle. As a mobile marketer, you have to balance the cost, quality, and time of your video creative strategy—otherwise known as the Triple Constraint of project management. As the saying goes, time is money. It’s costly and timely to create different video creatives for every channel. However, this strategy would most likely yield the best results. But fear not, there are many ways to optimize any video creative workflow that doesn’t have an unlimited budget. Here, I draw from my experiences to share how you can get the most out of any mobile video ad creative by planning and designing each one around advertising channels that aren’t one-size-fits-all. We can’t discuss advertising channels and platforms without first mentioning video ad sizes. Many of the top mobile mediation platforms, networks, and exchanges for video ads support full landscape (typically 16:9)- and full portrait (typically 9:16)-oriented video ads, usually fitting standard smartphone and tablet displays. But if you’re planning on running video ad campaigns across mobile ad platforms and social networks, then you’ll encounter your first tough design decision. How do you make video ads that play nicely in both mobile ad networks and social feeds? I’ve found that video creatives in portrait mode are better at bridging the gap between mobile and social channels. Both Facebook and Snapchat are great examples of where you can use the same portrait (vertical) video from your campaigns on mobile ad platforms. But portrait isn’t the silver bullet ad size for all channels. Instagram, for example, recommends square-oriented (1:1) video ads, and a 4:5 aspect ratio is the most vertical/portrait you can go. Not all channels are created equal. Both mobile ad platforms and social networks—such as Facebook, Instagram, and Snapchat, just to name a few—present challenges for mobile marketers looking to get the most bang for their buck with each video creative. What to look out for: A typical Instragram user’s feed is filled with static images, which makes video stand out. But that doesn’t guarantee that your video ad will get more impressions. In most cases, Instagram users are looking at the center of their screen when they’re scrolling up, so keep the action centered in the frame. Also, some users look at the username (in the upper left of each post) first before they even see the content. This is an opportunity for you to experiment with this area of the frame in a video creative, especially right at the beginning of the ad. And, as always, utilize faces and text since humans are naturally drawn to these elements. Lastly, bright, bold complementary colors will help your video creative stand a chance to be seen amongst the sea of selfies (skin tone colors), food (more colorful, but usually on a brown/beige table), and experiences (lots of detail to take in, like a sweeping landscape or cityscape). What to look out for: In a Facebook feed, similar to Instagram, video creatives are interspersed among a bunch of images. However, your video ads not only compete with images, they compete with vacation photos, gym selfies, baby pictures, recipe videos, Star Wars trailers, and so much more. And because of that, attention spans are short—as in five seconds short. Consequently, there’s an inundation of content that’s compounded by limited attention spans. Therefore on Facebook, it’s best to treat video creatives like a haircut—short but not too short. What to look out for: OK, so short and sweet video creatives on social. But what about video creatives delivered in-app through mobile ad platforms like Fyber? In my experience, I’ve found that 20-26-second-long video ads achieve the best results. However, each and every mobile demand channel has its own set of recommended or required ad lengths. You can avoid additional video creative repurposing work by simply keeping ad lengths to around 30 seconds max. That way, you can use the same video creative across social and mobile. If you’re reading this article on mobile, chances are you’re holding your mobile device upright—in the other words, portrait mode. Rest assured, you’re in the majority. According to mobile UX researcher Steven Hoober, most people hold their phones in multiple ways, with many of the holding methods in the portrait orientation (one hand, two hand, cradle, etc.). While all ad networks support landscape video creatives, they’re not necessarily only served in landscape-oriented apps and games. Why? Well, the majority of apps and games are designed for portrait mode. Rather than cropping the original 16:9 video creative to the narrower 9:16 aspect ratio, mobile ad platforms add letterboxing to preserve the source creative’s footage. As a result, video creatives in landscape mode that appear in portrait mobile apps suffer from the letterboxing black bars above and below the creative. 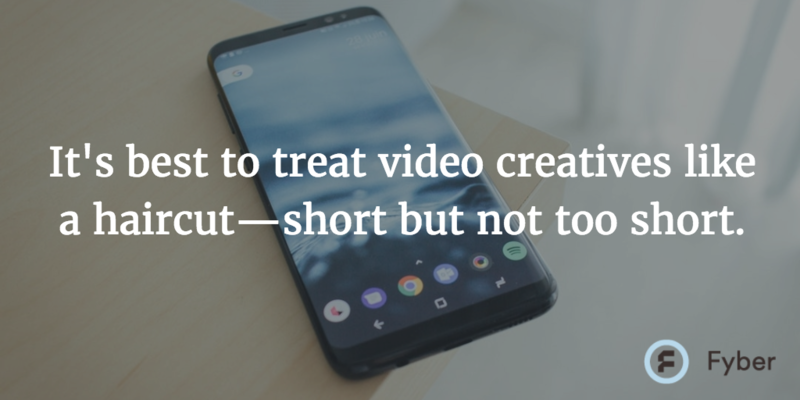 So it’s worth considering whether you want to focus on getting the most out of video creatives cut in landscape on as many platforms as possible, or video creatives cut in portrait. What to look out for: Snapchat is becoming more popular with mobile marketers, but it too has its own set of quirks to keep in mind when designing your next video ad creative. The most important thing to remember is the “INSTALL NOW” CTA at the bottom of the creative on app install Snap ads. So make sure the bottom frame of your video creative doesn’t compete with the CTA text. However, most marketers will want to draw attention to this CTA, perhaps with an arrow. But if you want to get the most out of your video creative, repurposing them on multiple channels, then putting a big arrow pointing to the CTA that screams “CLICK ME” will probably look strange outside of Snapchat. Instead, use the actual video footage to guide the eyes of users to look toward the bottom of the screen with clever motion and animation, such as introducing new imagery from the bottom and implementing bottom-to-top video transitions. One of the biggest obstacles with designing a video creative for use across different platforms is that not every CTA or end card will be as effective on each channel. While “swipe up to install” might be ideal for Snapchat, it doesn’t work anywhere else. The best solution: Use a universal CTA for app install ads such as “Download Now.” It’s also important to remember that not every ad channel treats clicks the same. For example, a tap on Instagram unmutes the video creative’s audio. So trying to entice users to click your video ad isn’t always useful. You may also consider a shorter end card or no end card at all in favor of adding more footage to the body of your ad, especially when channels like Facebook and Instagram offer persistent CTA buttons. If you’re reading this article, chances are you embrace frugality. So, the opportunity to repurpose a video creative outside of paid marketing channels undoubtedly perks your ears. The most obvious way to repurpose an ad is to use it as a new app preview trailer. While Google Play is more lenient when it comes to trailer guidelines, the App Store is not as liberal. Be sure to review their guidelines if you plan on repurposing so you can avoid any mistakes during the production phase of your ad. Another opportunity most marketers overlook is social media. It’s understandable that you might not want to upload your video ad creative publicly to your YouTube channel or Facebook page, but have you considered making short animated GIFs out of your creative? Most video ads are constructed in segments, which makes for easy GIFing. Grab a small section of your ad, turn it into a GIF, and tweet it. Ad sizes can quickly lead to multiple ad variations. If you want to keep your ad total to a minimum, then portrait-oriented video ads appear to have the farthest reach. Social channels will give you the most headaches versus dedicated mobile ad platforms like Fyber when it comes to ad size, built-in CTAs, and competing content. Use a universal CTA for app install ads such as “Download Now” to account for the platform differences. 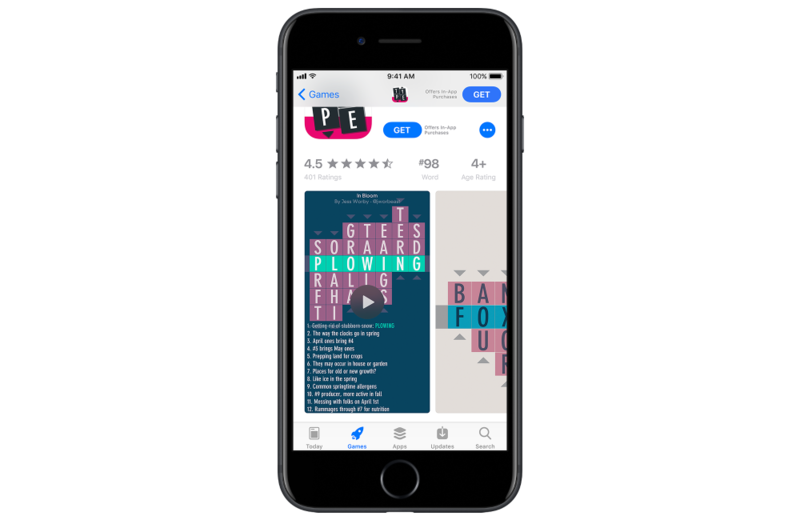 Think about repurposing your video creative for trailers on the app stores, as well as cutting creatives into bit-sized GIFs for social media posts.